Trey Wilburn came into this April 1990 contest for Charleston and was treated rudely by opposing Sumter. In the seventh inning, with Wilburn's Charleston Wheelers behind 6-3, Wilburn set down the first batter. But he then proceeded to walk the next. Then came a two-run home run. By the time Sumter was done with Wilburn, Sumter scored twice more, on its way to the victory, according to The Sumter Item. Wilburn was in his third season as a pro that year with Charleston. It was also his last. Wilburn's professional career began in 1988, signed by the Reds as an undrafted free agent, out of his native Virginia. With the Reds, Wilburn started in the rookie Gulf Coast League, getting 15 relief appearances, with a 7.50 ERA. 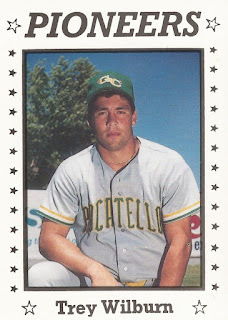 He moved to rookie Billings for 1989, getting 20 outings, seven s tarts, there. He also improved his ERA to 3.71. 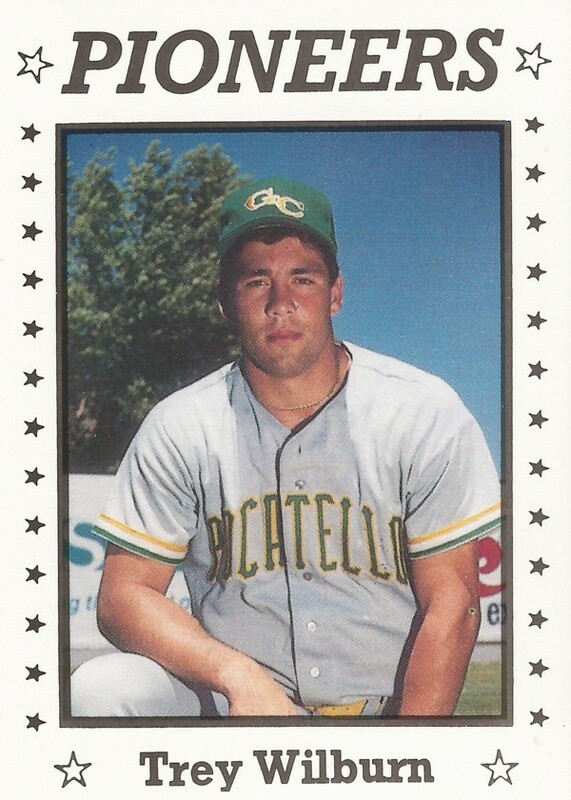 For 1990, Wilburn ended up playing for three teams, Billings, single-A Charleston and rookie Gate City. Between them, he got 31 relief appearances, with a 3.50 ERA. It was his final season as a pro. Wilburn then returned to school at Milligan College, took up golf and went into the financial services industry. In 1994, the year he graduated from Millgan, he won all-conference honors in golf. Wilburn then returned to Virginia and put his Milligan business administration degree to use, in financial planning.